Home / Spotlight / WestPalmBeach.com Spotlight: Jeremy Johnson, President and CEO of the Historical Society of Palm Beach County! 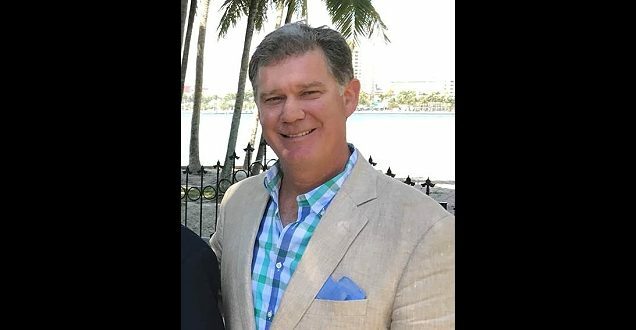 WestPalmBeach.com Spotlight: Jeremy Johnson, President and CEO of the Historical Society of Palm Beach County! Jeremy Johnson is the President and CEO of the Historical Society of Palm Beach County. He is passionate about the rich history of West Palm Beach and Palm Beach County. The Society and the Palm Beach County History Museum are housed in the magnificently restored, three-story neoclassical 1916 Courthouse in downtown West Palm Beach. We sat down with Jeremy to learn more about him, the society and the museum. 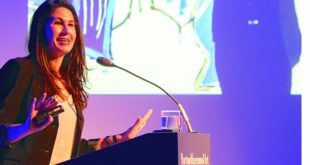 Frankee Cuzzola: Please tell our readers a little about yourself. Jeremy Johnson: I am a West Palm Beach native who grew up and still live in the south end. I am married to an incredible partner, Sunni. We have two beautiful children–Morgan Hope, 10, and Howard Loomis III, 8 – and two four-legged children, Kisses and Chewbacca. When I am not at the museum, I enjoy being outside, either on my boat or on the golf course. My family and I also love to travel and experience new places and cultures. What do you think captivates visitors most about the Palm Beach County History Museum? I think it’s different things for different people. Our county’s history is so rich and colorful, the more our visitors learn about it, the more they want to know. We have a great partnership with the School District and welcome 4th grade field trips almost every weekday. I find the children enjoy seeing how people lived in the past, how the county has grown and things have changed in a short time. 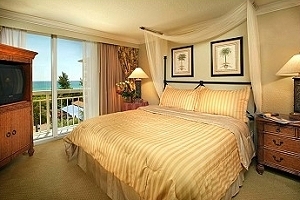 We are also frequented by people who are visiting from other places, all over the world really. Our amazing volunteer docents do a wonderful job of taking our guests through the museum and bringing history to life! Then there is our archives. We have two million photographs plus architectural drawings, letters, books, and larger items that help to tell the story of our county. My favorites are the photographs. What is the biggest impact you believe this museum has had on Palm Beach County? I think the biggest impact we have is also the most important thing we do: teaching young people to care about history. Palm Beach County history is both interesting and fun, and it encourages children to care about their roots, their community, and become good citizens. Hopefully this effect applies to our visitors of all ages. The museum offers numerous Educational Programs for all school-aged youth, can you expand on these programs? 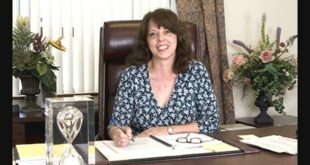 We create and provide to the School District tabloid-style curriculum to teach history to 4th graders and civics and history to 7th graders. We fill Traveling Trunks on several themes with hands-on activities, which we loan to classrooms and home schoolers. Recently we have a lot of middle and high schoolers coming to the 1916 courtroom to learn civics first-hand by engaging in Mock Trials. In the summer, camps bring children of all ages for museum tours enhanced with activities. Those are just a few of our Education Department’s programs. What is the decision process for new exhibits? We have a Programming Committee of volunteers that works with our Professional Team to determine what we exhibit. Our team curates one Special Exhibition in-house each year. For 2018-2019, it is an exploration of Addison Mizner’s impact on Palm Beach County. In our Historic Courtroom, we display shorter term traveling exhibitions throughout the year. Our Committee researches subjects and makes recommendations to our Chief Curator. We also get great ideas from the community! The Committee is open to anyone who would like to participate in the process. It’s a lot of creative fun. What have been your favorite exhibits? That’s easy. A couple of years ago,our Special Exhibit was on the history of baseball in Palm Beach County. It was awesome! We also did an exhibit on Spanish Explorers in connection with the State of Florida’s Viva Florida 500 initiative commemorating 500 years of Florida. We hired a fantastic Juan Ponce DeLeon reenactor, who we took out to schools, and the children loved it! When we took him down Worth Avenue for publicity, the shop owners and their customers loved it too! What other services does the museum offer? We offer a Distinguished Lecture Series on the 2nd Wednesday of the month at 7pm from November through April. We also offer a daytime lecture series called Third Thursday @ 3 for people not constrained by work who want to be home by dark. During the season, we offer Walking Tours on selected Friday afternoons and Saturday mornings led by local architect and historian Rick Gonzalez. We also do several public events geared towards families. The next one is Armed Forces Day in May. Any interesting historical facts about the building? I understand the late Judge Chillingworth presided here. Yes, he certainly did. The 1916 Courthouse has a wonderful history, which our volunteers share with museum visitors. The structure was added to, reconfigured, wrapped, unwrapped, and restored to the 1916 design. To celebrate its first century, we just completed a documentary about the building in the context of the changes it’s seen. It has aired on local PBS stations on will again. Is there anything new and exciting coming to the museum our readers should know about? The Mizner exhibit will remain through June. In the courtroom, our own exhibit on the 1928 hurricane is on display through January, then we will loan it to other local venues. I would advise people to join our email list to keep up to date on what the museum and the society are up to Our Evening on Antique Row in March, for example, is the chicest street festival in South Florida. 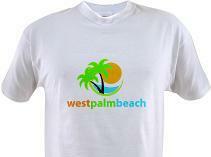 Jeremy Johnson, what do you love most about West Palm Beach? Everything! I think West Palm Beach is a wonderful place to live, work and play. I particularly love the south end and being close to the Intracoastal Waterway. It’s fun to be able to hop on the boat and come down to Clematis Street, just like the early pioneers did. 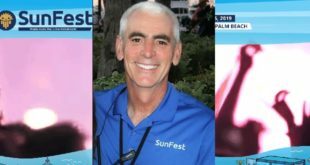 Previous WestPalmBeach.com Spotlight: Paul Jamieson, Executive Director of SunFest Music Festival! Next West Palm Beach Spring Training Tickets for Astros, Cardinals, Marlins & Nationals! 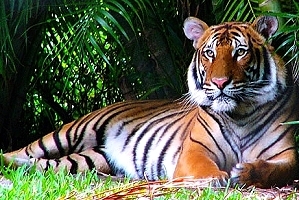 WestPalmBeach.com Spotlight: Palm Beach Zoo President and CEO Margo McKnight! 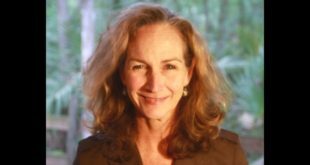 WestPalmBeach.com Spotlight: J. Rachel Gustafson of the Norton Museum of Art! 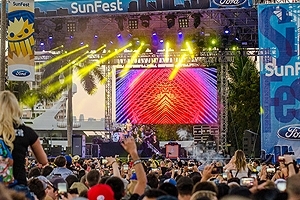 WestPalmBeach.com Spotlight: Paul Jamieson, Executive Director of SunFest Music Festival!